But when the nation’s largest utility, Duke Energy, spilled 39,000 tons of coal ash into the Dan River in early February, those big changes were suddenly playing out in a different light. Federal prosecutors have begun a criminal investigation into the spill and the relations between Duke and regulators at the environmental agency. The spill, which coated the river bottom 70 miles downstream and threatened drinking water and aquatic life, drew attention to a deal that the environmental department’s new leadership reached with Duke last year over pollution from coal ash ponds. 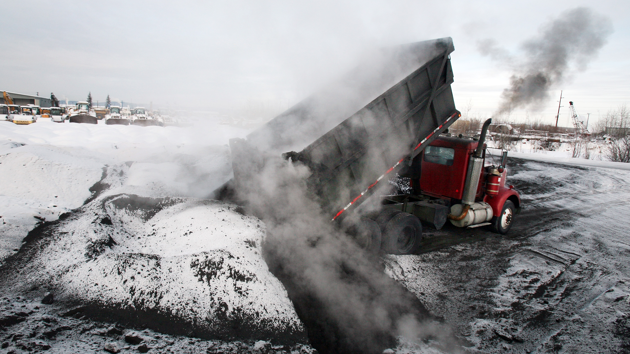 It included a minimal fine but no order that Duke remove the ash — the waste from burning coal to generate electricity — from its leaky, unlined ponds. Environmental groups said the arrangement protected a powerful utility rather than the environment or the public. 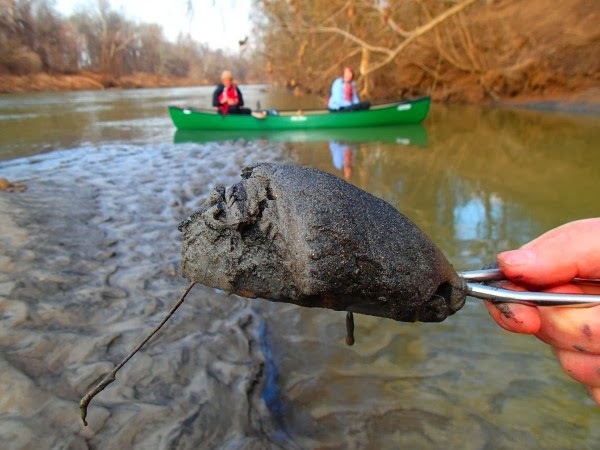 Critics say the accident, the third-largest coal ash spill on record, is inextricably linked to the state’s new environmental politics and reflects an enforcement agency led by a secretary who suggested that oil was a renewable resource and an assistant secretary who, as a state lawmaker, drew a bull’s-eye on a window in his office framing the environmental agency’s headquarters. This is what happens when government is captured by private actors. Government's beneficial roles are diminished, limited or as Grover Norquist approvingly said ,"made small enough to drown in a bathtub". I like "small government" when we're talking about nosy NSA operatives or SWAT teams in Iowa that invade people's homes for non-violent crimes or bossy child protective services mandarins that seize children first and ask questions later. But when you're talking about things like clean air and water I'm not so sure that small government is the answer. Or to put it another way smaller government may still be a good thing but not if it's one that is subservient to big business. I see government as similar to a referee in some instances. As the saying goes, the best referees do their jobs and are barely noticed. A really bad referee insists on enforcing every last single rule violation, no matter how petty. A worse referee may even make up violations that don't exist, hand out technicals and expulsions like free candy and have both teams so on edge that the game itself suffers. A different but equally bad referee may be so incompetent that they don't know the rulebook and/ or may not care about the game enough to enforce it even if they did. He may sit back in blissful apathy and say "let the teams work it out". And then finally there are those referees that actively prefer one team over the other and so only call violations on one side while ignoring those of the other. If you were a coach and found out that your game referee was the brother-in-law of the rival coach, his poker buddy or a member of his church you'd probably want a different referee. But if you were the corrupt referee who had already worked for a super rich coach and knew you were going to make millions more after fixing the game for him you'd probably have a really stupid grin on your face and be very happy with life. None of those types are any good for the larger game society. What we need is, prosaically enough, a balance. Now it's true that for me, as opposed to some other writers here that balance would be slightly more tilted to government staying out of people's business but even I wouldn't argue that government has no role to play. The North Carolina incident is the result of business control over government. We should never forget that by definition, if something is an externality to a business, as pollution certainly is, under our free-market system the business has no immediate economic interest in trying to reduce that externality. The free market is largely unable to influence the business on externalities, hence the name. What keeps the business in line is accurate information about the externality shared with an intelligent informed citizenry, the fear of being hauled into civil or criminal court, and the ability of referees regulators to throw the flag via fines and prevent the business from producing that externality or at least make the business capture the true cost of its process. Too many conservatives and libertarians have converted to the almost religious belief system that state and federal government never ever ever have any positive role to play in any business regulation and that we should let the free market sort everything out. This is not only wrong but very dangerous to humans and other living creatures. Duke Energy’s coal ash pond in Eden, N.C., which dumped 39,000 tons of poisonous sludge and slurry into the Dan River on Feb. 2 — the third-largest such spill in U.S. history — has refocused national attention on the environmental damage these holding ponds can render. But the damage isn’t just confined to when the sludge leaks into busted storm-water drainage pipes that never should have been running under the ponds to begin with, like the situation in Eden. 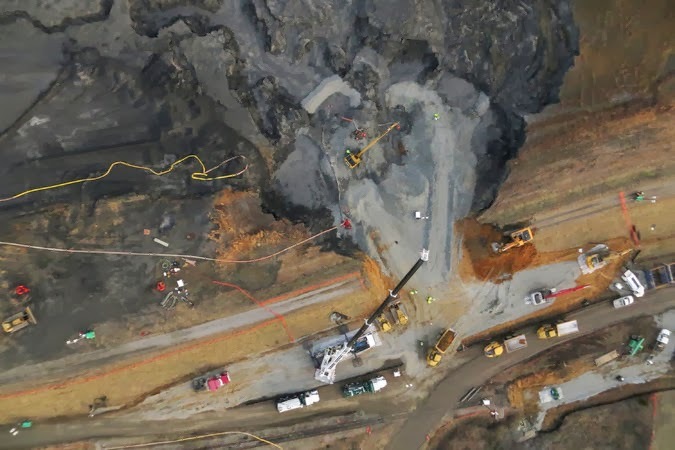 It’s quite possible the damage from coal ash ponds is ongoing even in the absence of accidental spills. We see this over and over again. Government is not always the answer but neither is it always the problem. We must reach a balance between private power, which is only accountable to ownership, and government power, which theoretically represents and is accountable to everyone. 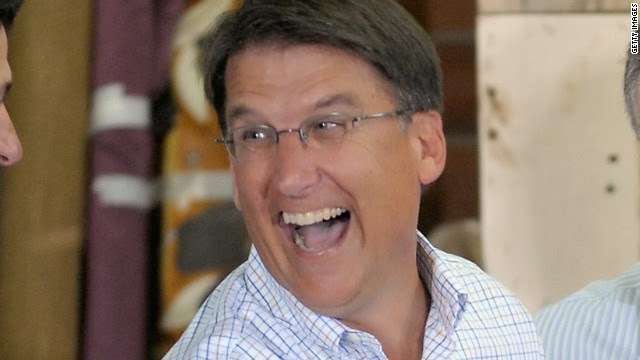 North Carolina Governor Pat McCrory worked for Duke Energy for twenty-eight years. He has worked as Governor for the people of North Carolina for a little over one. I wonder which employer has influenced him more. I certainly know which employer has paid him more.